i’m talking with strangers … details on why. it was a gorgeous summer evening and i was enjoying it on the walk home. i wasn’t the only one taking advantage of the nice weather, as there were tons of boats out on the water. 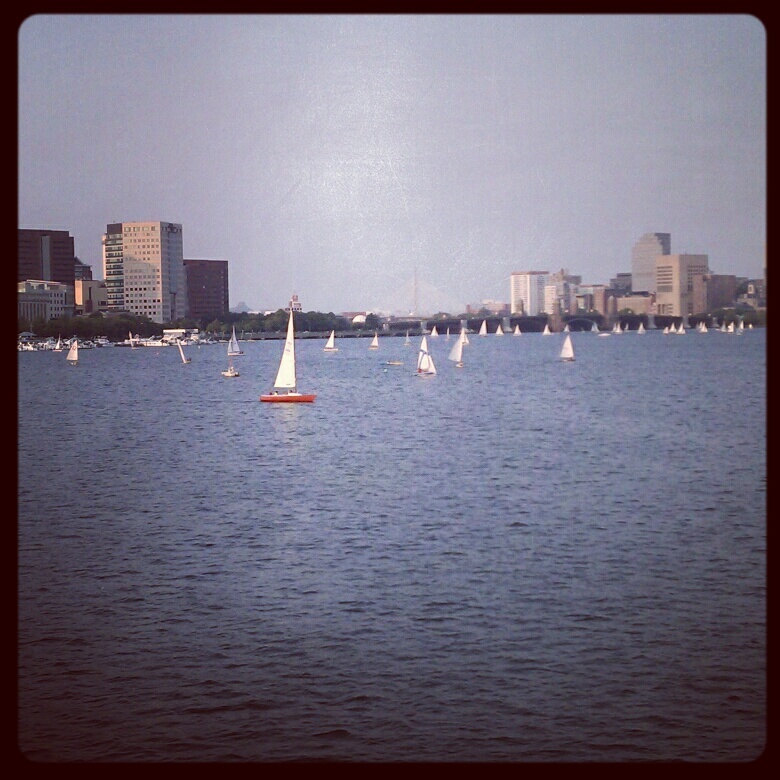 most were far, sailing merrily in the evening. but one was close. so close in fact, i made eye contact with one of the two guys in the boat. we both did a double take as we realized we were both looking. boy #1: come on down! me: oh, i bet you would. *laughs* you boys have a nice evening now. they continued to sail along side me as i crossed the river. i enjoyed their company and their bravado and couldn’t help but wonder what really would have happened if i had said “okay” and jumped? This entry was posted on August 31, 2012 at 8:00 am and is filed under convos with strangers. You can follow any responses to this entry through the RSS 2.0 feed. You can leave a response, or trackback from your own site. that story would have been impressive and it certainly would have started off with 3 looks of shock — one on each of theirs and certainly one on mine. ok seriously people. the charles? i don’t particularly want to go swimming in that water…..